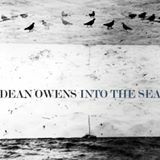 Our good friend Dean Owens recently returned from a short tour and working holiday around Tennessee and South and North Carolina. He’s just completed his final show of 2018, a reunion with his old band, The Felsons and found some time to tell us about five of his favourite things from his travels in the Southern states. 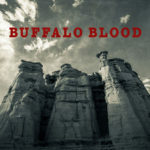 And, just a little teaser for you, Dean’s latest project Buffalo Blood, a collaboration with legendary producer Neilson Hubbard and Joshua Britt will be the first release on Eel Pie Records in February 2019. I got to visit my hero Muhammad Ali’s grave in Louisville Kentucky. A special moment for me. I wrote a song for Ali that’s on my new record – Southern Wind. I wrote it the night Ali passed away and it’s called Louisville Lip, which was one of Ali’s nicknames when he was first starting out and still called Cassius Clay. I drove up to Louisville with an old friend of mine and we just made it to Cave Hill Cemetery before it closed for the day. I left a copy of Southern Wind by the grave and sang him a verse of Louisville Lip. I’ll never forget it. Getting to play the historic Levitt Shell in Memphis was fantastic. Levitt Shell was where a young Elvis Presley played his first show all those years back. I’m the first Scottish artist to play there so it was a real thrill to be able to play on that stage on a hot Memphis evening and to get to sing my latest single – Elvis Was My Brother. Amazing really. Playing the Albino Skunkfest in South Carolina and getting a standing ovation……at NOON!!! It was here I was given my new nickname – Merle Haggis. Ha ha. Wonderful people at a wonderful festival. I’ll be back. Meeting up with my www.buffaloblood.com friends Neilson Hubbard and Joshua Britt and finalizing our plans for our debut album and world premiere at Celtic Connections in Glasgow on the 25th January. Can’t wait.